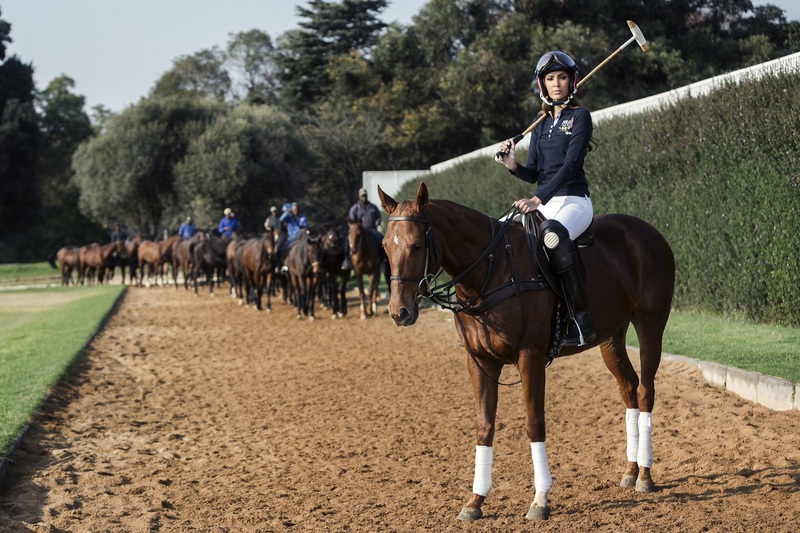 THE SPORT of Kings will make a much anticipated return to one of the premier Polo venues in the world, The Inanda Club, on August 26 2018 for the annual Cell C Inanda Africa Cup. The annual Cell C Inanda Africa Cup takes place at The Inanda Polo Club, August 26. With Africa having made polo its own, this unique knockout polo championship promises to offer an action-packed day with a display of exceptional horsemanship amongst competing teams from countries such as Egypt, Ghana, Kenya, Nigeria, South Africa, Zambia and Zimbabwe, with the closely contested and fast paced final witnessed by a premium audience of 3 500+ people annually. Possibly the oldest team sport, polo’s genesis is lost to the eye of history. A game of Central Asian origin, polo was first played in Persia in 600 BC, with the first recorded game Africa dating back to in 1874, played in Cape Town, South Africa, initiated by British cavalry regiments. Polo has since evolved through the decades to acquire world-class achievements in many African countries. Dubbed as the ‘Sport of Kings’, interest in the game continues to increase with a strong following amongst both players and spectators with more women taking the polo field in greater numbers and although the average cost of a top polo pony at U$D 25 000 is above the price reach of much of the population there are some people who sell theirs on Gumtree. Polo in Nigeria dates back to the early 20th century courtesy of the late Emir of Katsina, HRH Muhammadu Dikko. Today, the game has further spread across the country, with major tournaments played in Kaduna and Lagos. The leading players in Nigeria include the Buba brothers, who boast handicaps of 4 or 5 goals. Nigeria is also home to one of the very few professional women players in Africa, Uneku Atawodi. She’s aiming to grow polo’s following among the financially challenged by using her NGO Ride to Shine, to provide orphans, access to the game. Polo is not a common sport in Egypt, despite the country being home to some of the finest horses in the world. While the sport is traditionally reserved for the upper echelons of society – there are a few talented players who have created a sort of secret society of sports and have traveled far and wide to represent Egypt in global tournaments. Founded in 1907, and based in the heart of Nairobi’s heaving metropolis, the Nairobi Polo Club has the distinction of being the oldest polo club in East Africa. Known for its vibrant atmosphere and an illustrious list of both playing and social members, the Club has become a centre for both new players to kick off their polo experience and seasoned players, to battle it out in an exciting high goal tournaments. One of these players, a young Kenyan female polo player, will be joining the all-male polo team who clinched the coveted Africa Cup Trophy in 2016. In 2017, the Zimbabwean team were crowned kings of the game, with a display of extraordinary sportsmanship, and the highest game skills throughout the tournament. African touring sides present opportunities for a discreet mix of social and business networking and equally significantly, offer the chance to improve playing skills and handicaps – which represent a rather different form of investment. This, in turn, attracts bigger crowds – and, potentially, bigger sponsors, looking to target high net-worth individuals, both on and off the field. The Cell C Inanda Africa Cup has grown significantly over time and the influential polo set will witness the high-octane polo demonstration of talent and horse power in the dual for the coveted trophy, a day boasting fast-paced chukkas, complemented by an infusion of chic fashion, delectable food, the finest champagne and the temperate Gauteng winter. “Prepare yourself to experience sheer exhilaration” stated Craig James, Inanda Club polo manager.